Kate Middleton, also known as the Duchess of Cambridge, recently announced that she is pregnant with her third child. And, as with her first two pregnancies she is suffering from hyperemesis gravidarum (HG). Her story puts a spotlight on a debilitating condition that affects roughly 100,000 women per year in the United States. While ‘morning sickness’ is normal in healthy pregnancies, the symptoms of HG are extreme. They include weight loss, malnutrition and dehydration due to severe vomiting and/or nausea. The condition is the leading cause of hospitalization in early pregnancy and can lead to serious health consequences for both mother and baby. 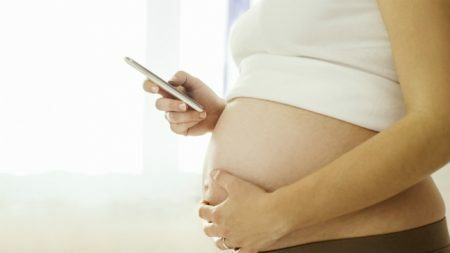 To help women better track the condition and provide physicians with timely data that may improve management of symptoms, UCLA Health and the Hyperemesis Education and Research Foundation are asking women to beta test a new app as part of a research study. 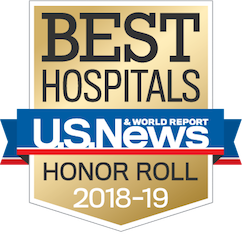 The tracking data, for example, can help doctors determine if the medication they have prescribed for such symptoms as nausea and vomiting are working. The app also prompts women when certain symptoms may warrant a call to their physician and offers links to screening tests for conditions like dehydration, Fejzo said. 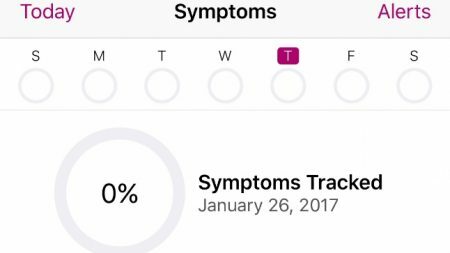 The data collected by the app can be displayed in a graph to help track the woman’s symptoms throughout her pregnancy. The researchers are recruiting 200 pregnant women to use the app to provide feedback on how it can be improved. Women do not have to be patients of UCLA Health. 1. A pregnant woman who is experiencing nausea and vomiting that disrupts your daily routine. 2. Use an Apple iPhone. If enrolled in the study, the woman will receive an invitation to download the HG Care App. She will be required to use it daily for a minimum of seven days prior to her next appointment with her obstetrician. The patient and doctor will then be asked to complete a simple three-question survey and return it to the researchers. For more information on the research study, contact Marlena Fejzo at mfejzo@mednet.ucla.edu.